He was abused with reckless abandon by relatives because his father died. But armed with an indomitable spirit, he refused to give up, and made it from grass to grace. 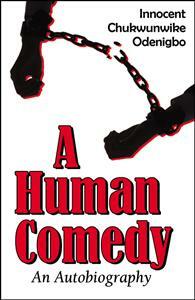 A HUMAN COMEDY is an autobiography detailing the life and times of an immigrant from Africa. From his birth in the ancient city of Nri in Eastern Nigeria at the height of British colonial rule to the present, Innocent Chukwunwike Odenigbo takes us through the series of breath-taking events that shaped his life from a village boy to an international polymath and polyglot. When his father dies, Innocent is only six years old, hardly prepared for the abuse to which his uncles expose him in their bid to grab the leadership of one of the famous dynastic families in Nri.